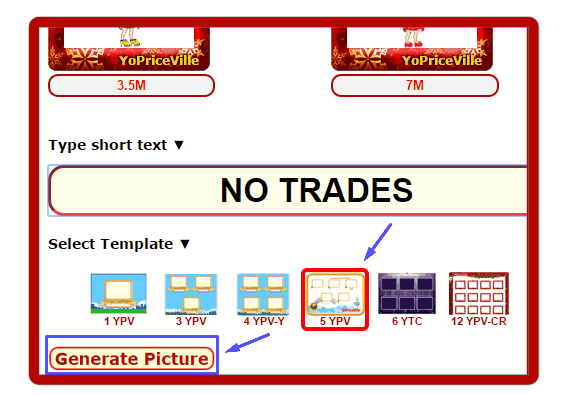 Trade Picture generator is easy way to make Trade pictures for your trade (Sell,Buy,Trade) from pictures in YoPriceVille Priceguide. 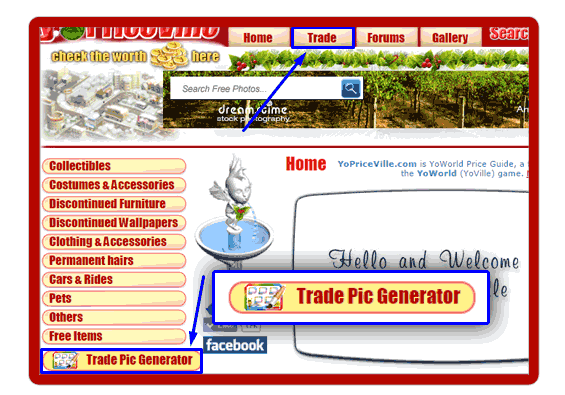 You can go to the Trade Picture generator by clicking the button "Trade PIc Generator" on left menu. All your trade items will be in this section. To add the item in your trade list, click at the button "+ Trade". 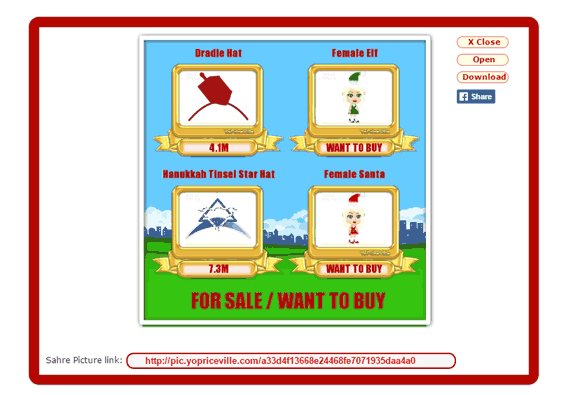 Then go to the page generator by click at the "Trade Pic Generator" on the left menu or "Trade" on the top menu. 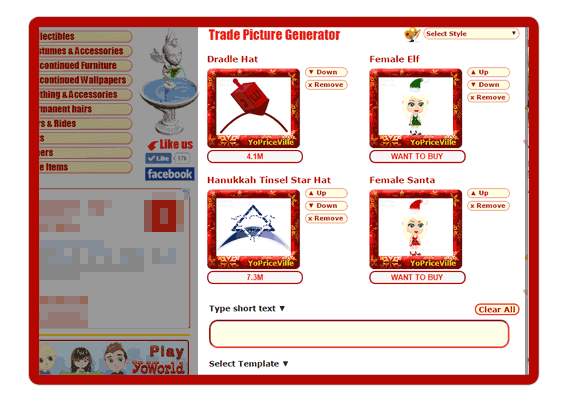 Now we are at the Trade Picture Generator Page. 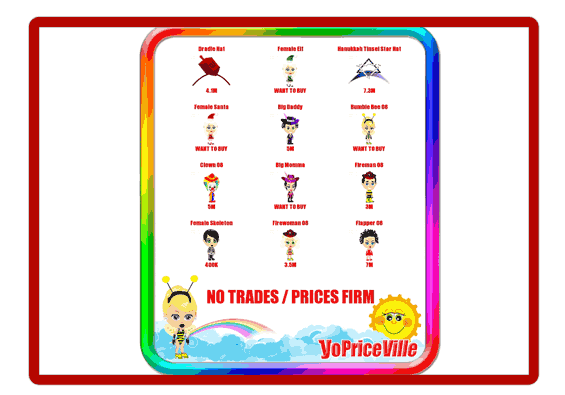 At here you can see all your trade list. 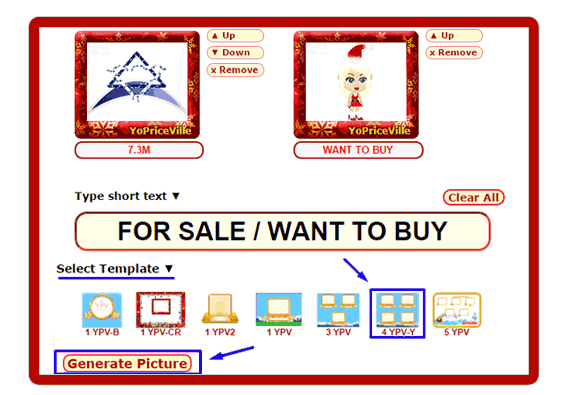 And also the options to change price and arrange the picture. 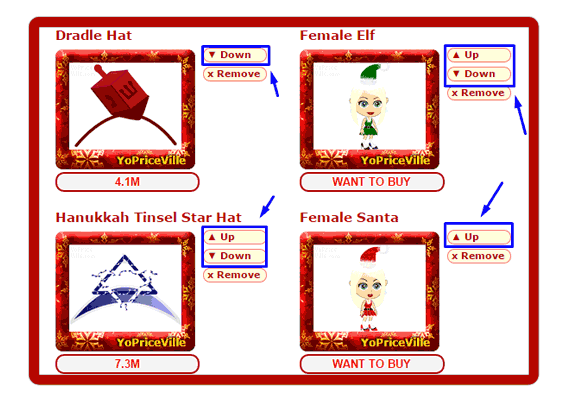 To arrange the items, you can do by using button "Up" and "Down". Also you can use "Remove" to clear the selected item from trade list. For the title of your trade, you can fill in the short description in the "Type Short Text" box. 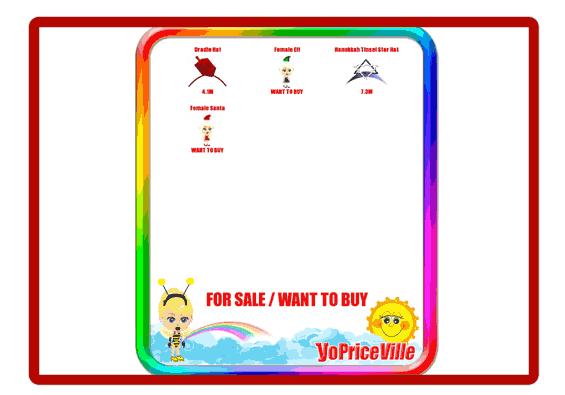 You can fill in like WANT TO BUY or FOR SALE. This text will be shown at the bottom of trade picture. 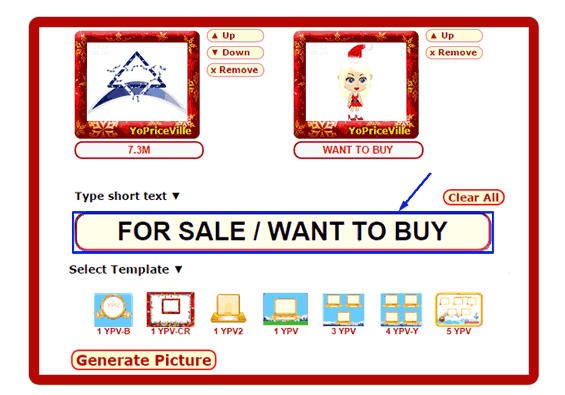 Select the template that match your number of items and your style and click button "Generate Picture". Congratulations, now your trade picture is ready! 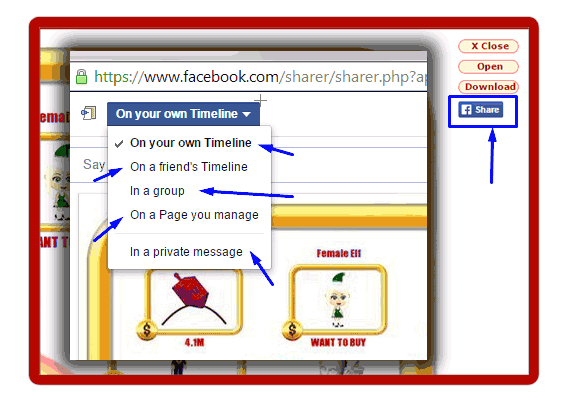 You can download the picture by clicking at button "Download" or can copy the link under the picture and use anywhere. Also, you can view the bigger image size in new window by click at the button "Open"
To share the picture on your wall or any place, you can do by clicking at the button "Share"
To make some adjustment or correction, click the "Close" button. You will be back to the Trade Picture Generator page. 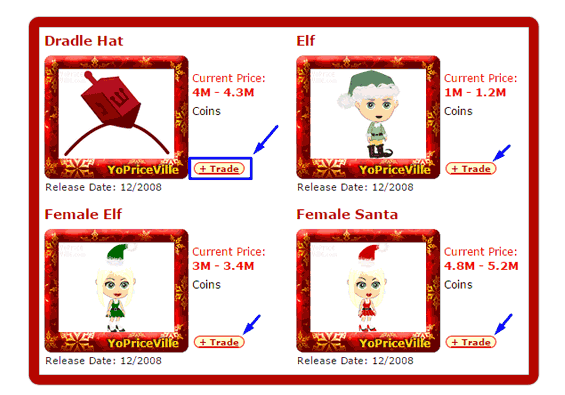 In this example, your items are less than the number of blank space in the template. You can fill some more items. Let's edit and add the items. 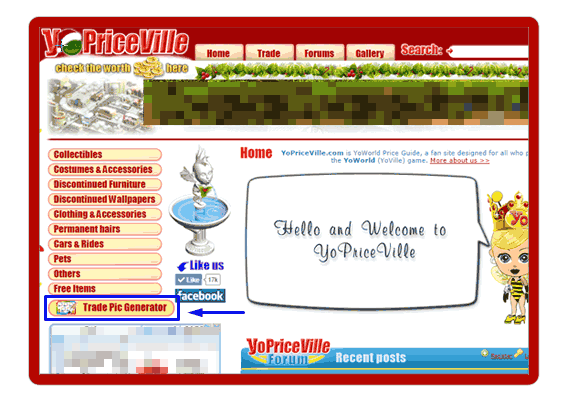 Now you have filled more items and used all spaces in the template and changed the short text title to "Prices Firm". If you try to add more items, the new items will not be shown in the template. You need to rearrange the items or change to other theme that have more spaces. 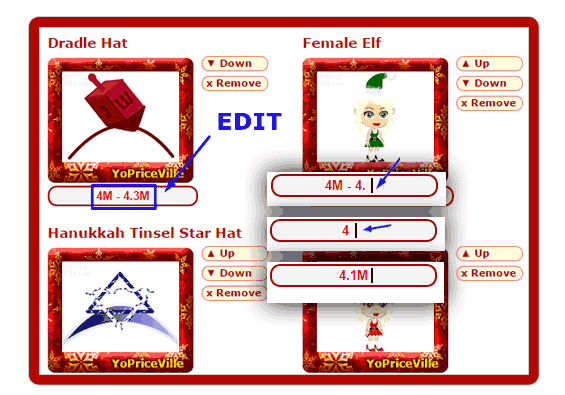 To clear all items in template, click "Clear All". To remove specific item, click "Remove" at each item. You can generate as much images as you need. Your Picture Links will be kept within a month. Happy Trading and Enjoy our new features!